Terms & Conditions - Bending Solutions Inc. ACCEPTANCE & FINAL AGREEMENT. Any order by Buyer shall be subject to the terms and conditions set forth in this document. Buyer’s acceptance of the goods constitutes its assent to these terms of sale. Buyer is hereby notified that Seller objects to any contrary or additional terms submitted by Buyer. No performance by Seller under any order of Buyer shall be deemed an acceptance of any conflicting provision submitted by Buyer. Acceptance by Seller of any such additional or contrary terms or of any modification or waiver of any of these terms are subject to Seller’s prior written approval. The terms and conditions contained in this document constitute the exclusive, complete, and final agreement between the parties and supersede all prior and contemporaneous oral and written agreements. PRICES. Prices are in U.S. dollars, F.O.B. 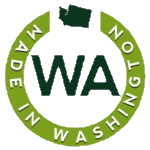 Marysville, Washington, are firm for thirty (30) days from the date quoted (provided Buyer’s order is received within such period), and are subject to change on orders received thereafter. All typographical or clerical errors are subject to correction by Seller. TAXES; CHARGES. Buyer shall be responsible for the payment of any and all freight charges, taxes, license and inspection fees, custom duties and other charges imposed upon the sale of products of Seller to Buyer. Seller reserves the right to add these charges to the purchase price and collect them for payment to governmental authorities when Seller is required to do so. TERMS OF PAYMENT. All invoices are due within 30 days from the date of the invoice, subject to Buyer’s approved credit. Customer accounts not paid when due shall be subject to interest charges of 1‑1/2 % per month (18% per annum). A fee of $25 shall be assessed for all dishonored checks. Seller’s obligation to manufacture or deliver is conditioned upon the continued good credit of Buyer and upon Buyer’s payment when due of any sum owed to Seller. The Seller reserves the right, in addition to all other remedies afforded by law, to restrict the terms of payment, to require payment prior to time of shipment or to cancel the order if, in Seller’s opinion, the Buyer’s financial conditions or other circumstances do not warrant shipment on the terms originally provided. CANCELLATION. Orders are not subject to cancellation or modification, in whole or in part, except with Seller’s prior written consent and upon payment of all damages and costs incurred by Seller in its fulfillment of Buyer’s order, including all costs for materials and labor and any indirect and consequential damages. Any raw materials purchased by Seller for the purpose of fulfilling Buyer’s order will be returned to the supplier whenever possible and Buyer will be credited for any such accepted returns. NON-DISCLOSURE. All price quotes are given by Seller in confidence and are not to be disclosed to any third party, without Seller’s prior written consent. CUSTOMIZED PRODUCTS. When requested, prices will be quoted based upon Buyer’s specifications furnished to Seller at the time of quotation and any changes in specifications may, at Seller’s option, require price revisions and Seller’s written approval. INDEMNIFICATION. Buyer agrees to indemnify Seller against any and all claims relating to defects resulting from Buyer’s specifications or application of the product and claims of intellectual property infringement based upon Buyer’s order or application of the product. DELIVERY; SHIPMENT DATES. Shipment dates are estimated based upon Seller’s best judgment, are subject to factory schedules and production limitations, and thus cannot be guaranteed. Seller shall not be liable for any delays in shipment or performance resulting from production delays or force majeure, including, but not limited to delays directly or indirectly resulting from the occurrence of any contingency beyond Seller’s reasonable control, whether caused by the forces of nature, people or governments. Seller’s performance shall be extended by the period of any such delay. FAILURE TO TAKE DELIVERY. If Buyer fails to take delivery, the goods shall be held at Buyer’s sole risk and expense. Seller, as Buyer’s agent, may thereafter store, insure or otherwise protect the goods, or may resell the goods for Buyer, at Buyer’s sole expense. DELIVERY IN INSTALLMENTS. Seller reserves the right to make delivery in installments unless otherwise expressly stipulated by the parties. All installments shall be separately invoiced and paid when due, without regard to subsequent deliveries. Delay in delivery of any installment shall not relieve Buyer of its obligation to accept remaining deliveries. SHIPPING COSTS & RISK OF LOSS. Buyer agrees to pay all transportation and delivery costs and will be responsible for giving Seller any special shipping instructions. Indemnification of the products sold occurs at the time Seller places the products in the hands of a carrier for delivery. Upon indemnification, risk of loss passes to the Buyer but title shall remain with the Seller until Seller receives payment in full for the products shipped. REJECTION OF GOODS. Buyer shall inspect and return any nonconforming goods. A rejection of the goods by Buyer shall not be effective unless it is made in writing to Seller as promptly as practicable after the goods arrive at the destination specified on the face of Buyer’s purchase order. Failure to promptly reject the goods after inspection shall constitute Buyer’s acceptance of any nonconforming goods. All returned goods are subject to a 30% restocking fee. DEFAULT. If Buyer becomes insolvent or makes any default hereunder, Seller at its option may defer delivery until default is cured, or may treat default as a repudiation by Buyer of this order in its entirety, resell the goods and hold Buyer liable for such damages as Seller may incur, including consequential and incidental damages. If Buyer is in default by failure to pay any previous invoice within credit terms at the expected date of shipment of this order, or if Seller has received any adverse credit information about Buyer, Seller may delay shipment and/or cancel acceptance of Buyer’s purchase order. LIMITATION OF WARRANTY. Seller warrants that the goods sold shall conform to the grade and quantity specified on the face of Buyer’s purchase order. THERE ARE NO OTHER WARRANTIES, EXPRESS OR IMPLIED, INCLUDING ANY IMPLIED WARRANTY OF MERCHANTABILITY OR WARRANTY OF FITNESS FOR A PARTICULAR PURPOSE. If the sale is based upon a sample, the sample shown by Seller to Buyer was for demonstration purposes only, and Seller makes no warranty that the goods delivered shall conform to the sample. LIMITATION OF LIABILITY. UNDER NO CIRCUMSTANCES WILL SELLER BE LIABLE FOR ANY INCIDENTAL OR CONSEQUENTIAL DAMAGES OR FOR ANY OTHER LOSS, DAMAGE OR EXPENSE OF ANY KIND, INCLUDING LOSS OF PROFITS ARISING IN CONNECTION WITH THIS AGREEMENT OR WITH THE USE OF, OR INABILITY TO USE SELLER'S PRODUCTS FURNISHED UNDER THIS AGREEMENT. SELLER'S MAXIMUM LIABILITY SHALL NOT EXCEED, AND BUYERS REMEDY IS LIMITED TO, THE REPAIR OR REPLACEMENT OF THE DEFECTIVE PART OR PRODUCT, OR AT SELLER'S OPTION, THE RETURN OF THE DEFECTIVE PRODUCT AND REFUND OF THE PURCHASE PRICE. THIS REMEDY SHALL BE BUYER'S ENTIRE AND EXCLUSIVE REMEDY. MISCELLANEOUS TERMS. If Buyer fails to make payment in full when due, Buyer shall be responsible for all collection costs incurred by Seller including attorney’s fees. If any action or litigation is brought to enforce Seller’s rights, the prevailing party shall be awarded attorney’s fees and costs. These terms shall be construed according to and governed by the laws of the State of Washington. Any litigation resulting from these Terms of Sale, if commenced by Buyer, shall be brought in a court of competent jurisdiction in Snohomish County, State of Washington. A waiver by Seller of any right, default, or term of these Terms of Sale shall not be deemed to be a continuing waiver or a waiver of any other default or term. These Terms of Sale may not be modified or amended except in writing and signed by the parties. Buyer agrees to comply with all US Export Control laws and any other applicable governmental requirement or standard.